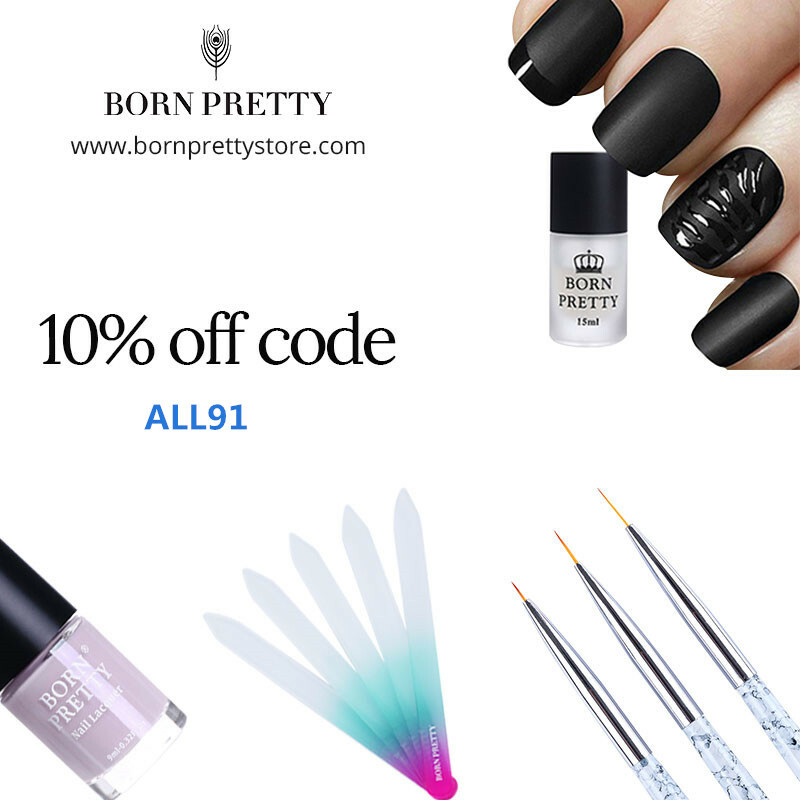 Disclaimer: The product mentioned in this post is given to me. 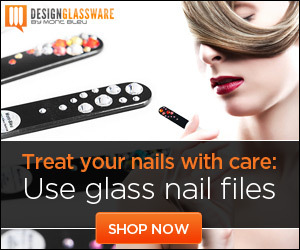 I am not affiliated with the company nor getting paid to advertise the product and giveaway. This post is written with my honest opinion. I am fortunate to receive some products from the Press Preview at The Makeup Show LA 2018. Here are the goodies we received at the Press Preview. I already reviewed Parian Spirit Brush Cleaner (top middle), NYX Strobe of Genius Illuminating Palette (top left), MustaeV Vitamin Sadness Mask (middle right), and Bioderma Sensibio H2O (top left). With time, I will giveaway products I know will not get love from me. 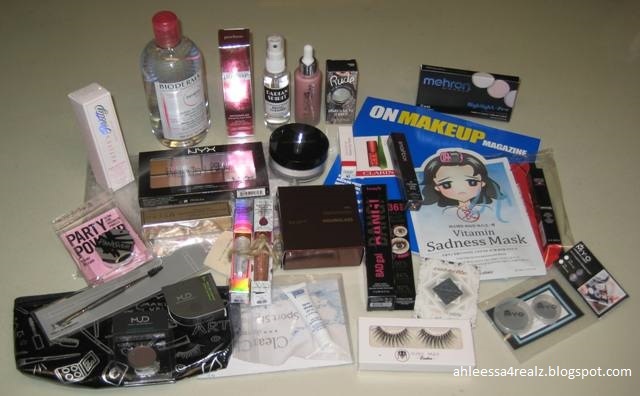 For this giveaway, I am giving away Stila product on the middle left. This is Stila Shimmer & Glow Liquid Eye Shadow in Vivid Labradorite. It's brand new in a box. 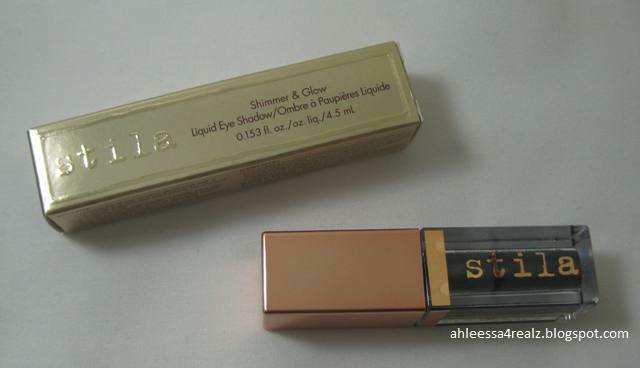 I haven't tried the Shimmer & Glow Liquid Eye Shadow. 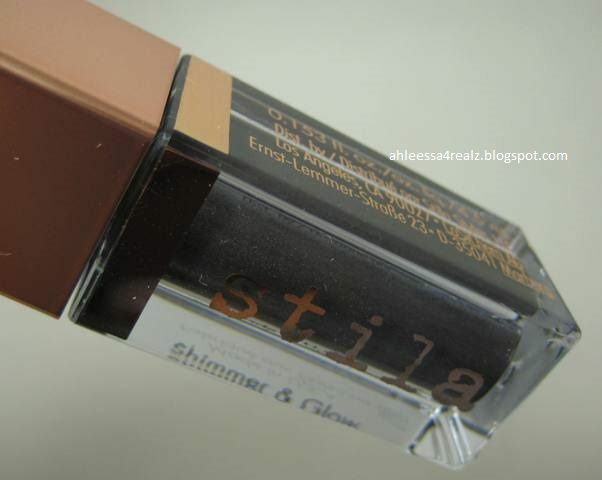 I have tried Stila Magnificent Metals Glitter & Glow Liquid Eye Shadow in Smoky Storm. They are similar but different. The one I have tried is glitter. This particular one for the giveaway is shimmer. That's the major difference. Here's a closer look at the color. Other than taking the liquid eyeshadow out of the box and taking a picture, I did not open it. 1. You must be following on the Followers on the right sidebar (I will check). Please do not just follow for the giveaway and then once the giveaway is over, stop following. It's just not polite!!! 2. This is open to everyone including international. 1. 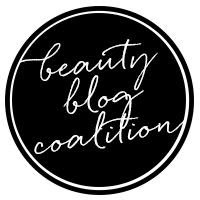 Follow my blog on Bloglovin's Page. 3. Follow my Twitter Page. 4. Re-tweeting the giveaway daily. 7. Write a post about the giveaway on your blog.